Rockhopper Tracker September 2011+Tracking Tips! Captain Rockhopper (commonly known as Rockhopper) is a friendly pirate penguin and a sailor who regularly sails to Club Penguin Island in his ship, The Migrator, about every two months or so. He is always accompanied by his red puffle, Yarr. You can also get a stamp for being in the same room as him. His ship is always docked at the Beach. Rockhopper only comes on certain occasions. 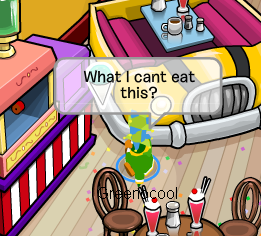 He keeps a journal of his adventures, and sells rareitems brought over from Rockhopper Island. 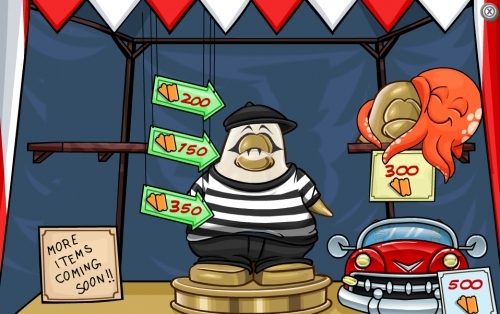 When he comes to Club Penguin Island, he gives away a free item and sells other items tomember penguins in the Rockhopper’s Rare Items catalog.The catalog includes items such as pirate hats, telescopes, Migrator background, Penguins can sometimes see Rockhopper in random places in random servers when he docks on Club Penguin Island. 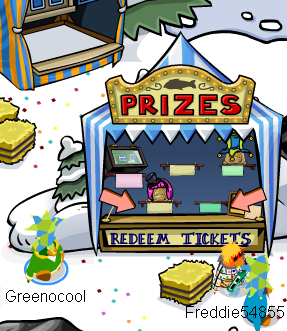 Players can receive a free gift from Rockhopper by clicking what is usually the “Add Buddy” icon on his player card. Rockhopper is named after the actual species of penguin. And now let’s get to the tracking.Basically,these trackers are made to track famous maskots or penguins so you can meet them by using them.I have my own site trackers and I am always trying to do the best on updating them!You can’t refresh these trackers yet so you need to refresh the whole page.But I think they will lead you to atleast some clue of where Rockhopper is.Now here’s the tracker! Use the Rockhopper Tracker September 2011 first of all that I made! If it isn’t updated or doesn’t work for now,use the written letters you see below it. Mammoth,Blizzard,Frozen,Alaska,Zipline and etc.If he is on none of these you can try just going on a full server! Rockhopper is not always on Club Penguin so in this case you have to wait for a while or go to a random server to find him.Don’t always believe rumours of where penguins says that Rockhopper is.They are most likely proven false.In this case is best to use my tracking devices. If you don’t know how Rockhopper looks,here is how:he wears a black pirate hat with a white puffle on it,has black beard,he is red and for some still unknown reason-slighly bigger and taller than all of the penguins. If you can’t find him in the room or don’t know if he is in the room look for other penguins.If they are shouting his name or there is some kind of a panic or crowd it is more likely he is there. 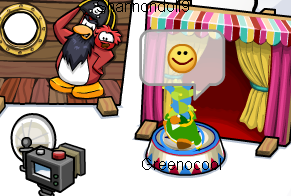 If you are still not sure you can check the ”People in Room” option by going to your ”Buddies” and then clicking on the next smiley face to it.Scroll down and look for the name ”Rockhopper”.It is easy to find as it is not like the others-it is not just a face or face with a small smile-it is a face with a big laughing smile.You will definetily see him that way. Rockhoppers comes on a server for 5-20 minutes so make sure you try to catch him in the beginning when you see him!After that you have to switch server to meet him again. Rockhopper may be controlled by bots,computers or be an actual real moderator controlling him.You will actually know and realize the difference once you see him.He can also be on different servers at the same time so check out some servers yourself.If you can’t find a server or can’t guess use this tracker. Rockhopper can be usually seen in the rooms like:Plaza,Migrator,Town,Cove,Beach,Iceberg,Lighouse and etc. on the servers:Mammoth,Zipline,Alaska,Yeti,Blizzard,Frozen and usually other full and famous servers.If he is on none he must be just offline or on an empty server. This is my last tip.If nothing here helps you then you can contact me by posting a comment for tips!If nothing ever of here helps you,then look at other trackers and sites.Then look everything yourself on your own. The Fair 2011 Cheats:Full Guide! So,you are wondering-how do I earn prizes?Do I buy them or maybe I trade something for them like coins or something?Well,let’s start with the explaining on that,too!To buy something in ”The Fair” you have to trade for it.But NOT with ordinary coins or something like that.There are special things called ”tickets”.You have to have tickets to trade them for prizes!To earn tickets you have to play special games available ONLY at ”The Fair”.After every game you get tickets and then you can spend them on rewards!Check out the guide Club Penguin made on earning them! NOTE:When you log off you loose all of your tickets you have earned and not spend yet!Spend unused tickets if you have any ALWAYS before logging off! More items are coming September 29th,Thursday(in one week)! 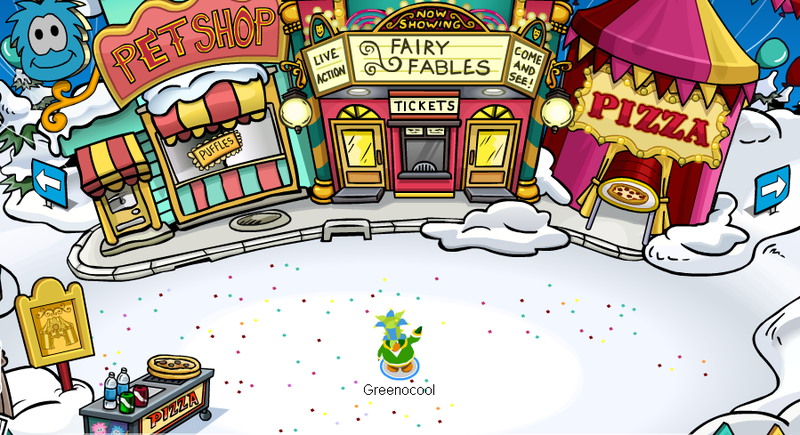 The members prize boot changed from the years but since 2009 it has always been above the ”Forest” along with the ”Great Puffle Circus”!Check out the items at the member’s prize boot,too. 1.Click on the 3rd white flag from left to right. 2.You will get the ”Red Balloon”. 1.Click on the 2nd red flag from left to right. 2.You will get the ”Toy Turtle”. It is a…Inky Squid Lid!Looks simular to a last year’s item,right?The squid lid!It is pretty cool thought.Just pick it up! Except all of this you can get a free background at the ”Ski Village”,too!Just go there,sit on the chair in front of the camera you see and click the camera!You will get a ”Step Right Up” background then! 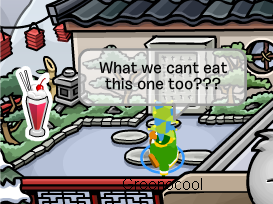 …A snowcone!That’s right!What?Seriously-we can’t eat it!Damn! 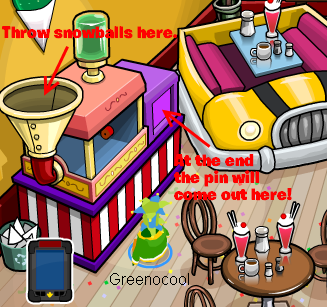 ;/ Awww,well…we will get going witht the other pin atleast.It is at the Dojo! Rockhopper Seen In The Telescope! 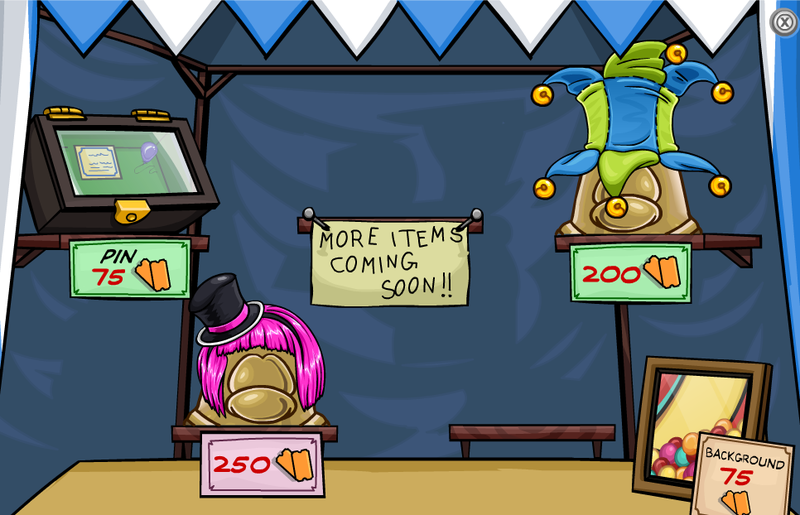 Cool,huh?Are you excited about the Fall Fair now even more?What would Rockhopper have in store for us now?This is getting even awesomer!Comment what you think bellow! ;) Bye for now! 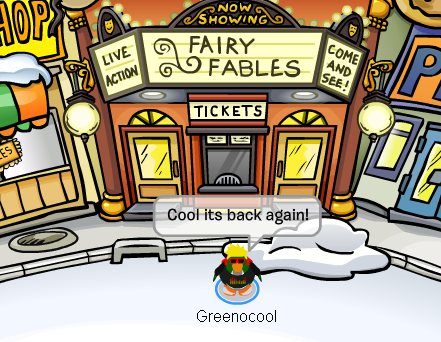 Fairy Faibles Is Back At The Stage! So what do you think about it?Do you like it-is it cool?Are you excited about the Fall Fair?Comment everything bellow in the comments.And also vote on my new poll coming tomorrow! ;) See ya later guys,gotta go to bed.See ya tomorrow! Now Working For Red’s Site! Club Penguin-Puffle Launch for iPad,iPhone and iPod Touch Exclusive! Get back all the Puffle O’s, dodge obstacles, and seize the fiery prize at the end of every level. Earn tons of virtual coins, and transfer them to your clubpenguin.com account on the computer! Use your multi-touch skills to the extreme and blast the daredevil pet puffle through the skies to get the Puffle O’s back! Battle the cranky crab and his pesky mechanical claw. Counter his moves with some of your own.